Give Roll-Up blankets to your customers and they will always choose you over your competitors. 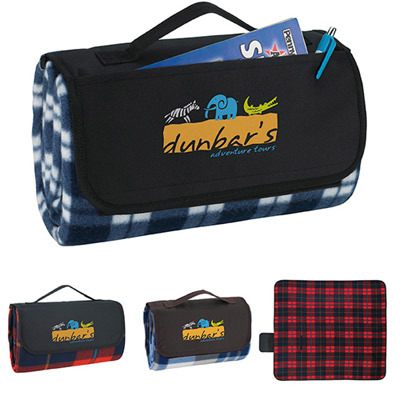 Let them carry these blankets at camps, treks or baseball matches! Count on these blankets to help recipients stay warm during wintry nights. 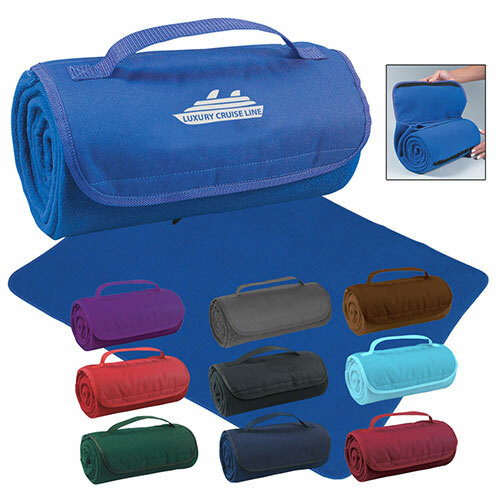 These polyester fleece blankets are large enough to feature your logo on. 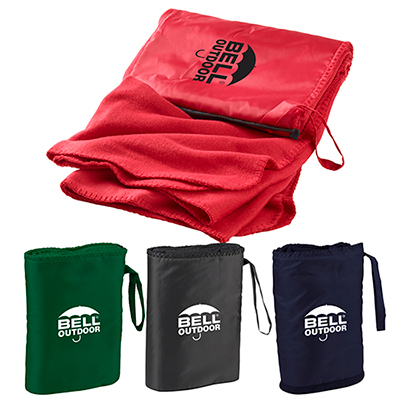 The blanket folds within itself and comes with an attached handle for easy carrying. These blankets are available at affordable prices. Order in bulk quantity and take advantage of attractive discounts. 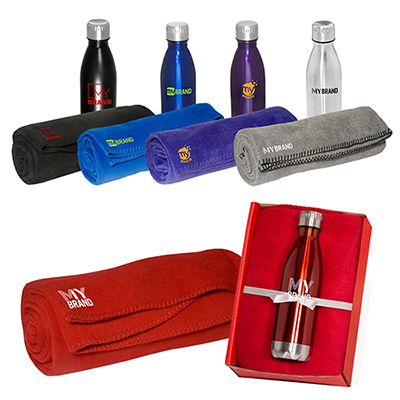 Call us to place your order for logo imprinted Roll-Up Blankets right away! "Crisp print and top-notch product quality. 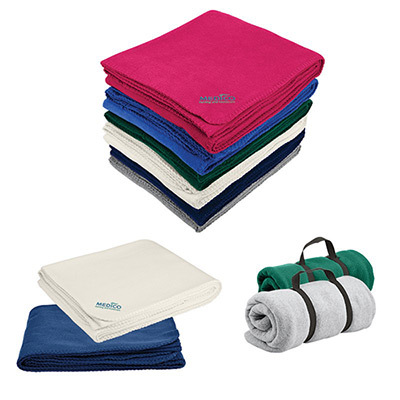 These blankets are easy to use and really comfortable. Will definitely order again! " The perfect blanket for a picnic!